It's hard not to feel good and just a bit lighter and possibly even enlightened when you hear this album. Foday Musa Suso plays the Kora, an African instrument that sounds like a cross between an acoustic guitar and a harp. The melodies he plays are generally in a major key and almost always positive sounding, but never glib or shallow. The almost hypnotic repeating phrases he plays have some similarities to the subtle finger picking style of Missippii John Hurt, as well as traditional harp music from around the world. Herbie Hancock is not the only western musician who has sought out Suso's compositional and performance skills, The Kronos Quartet, Philip Glass and jazz fusionists Mandingo have also featured his brilliant performances. 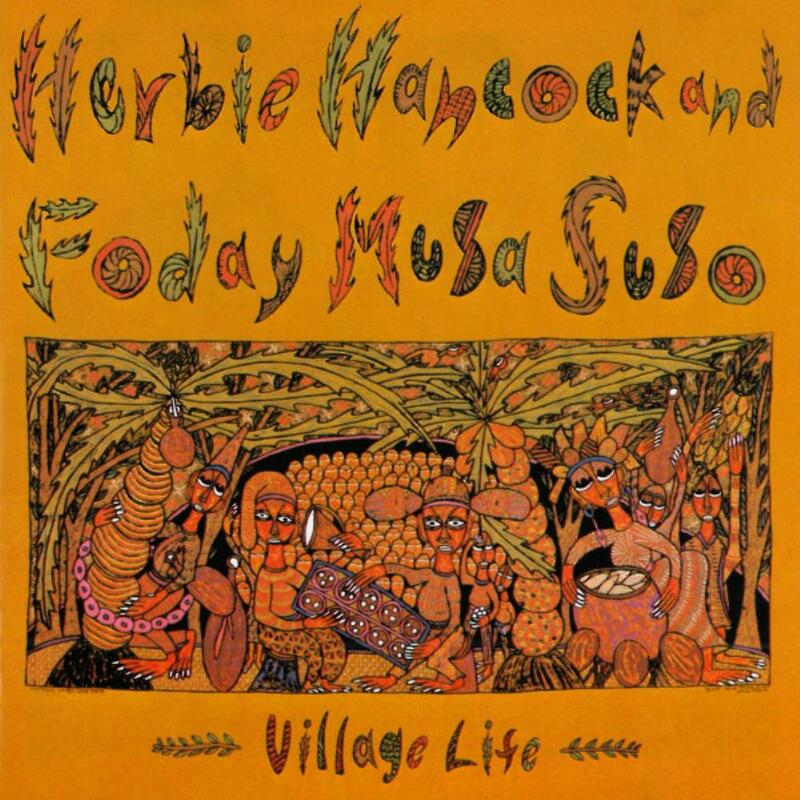 For his part on this record Herbie wisely stays in the backgound and supplies accompaniment to Suso's uplifting melodies, and occaisonally adds tastefully non-flashy solos. Herbie plays a Yamaha DX7 on here, one of the first affordable programmable polyphonic synths that at the time totally dominated the keyboard scene. Many an 80s record features this usually plastic and overly bright and tinny instrument that always sounded tacky to my ears. Leave it to Hancock to bring out the best in this cheesy instrument. Throughout this album Herbie coaxes beautiful sweet almost African sounds, often sounding like a steel guitar, an instrument that was at that time as popular in Africa as it is in country music in the states. I have played this album for friends who don't normally listen to traditional music from Africa, even when Suso sings occaisonally with some very non-western vocals, most have agreed there is a peaceful beauty to this album that transcends it's culture and becomes universal.